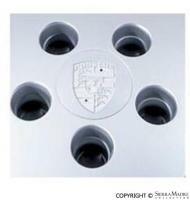 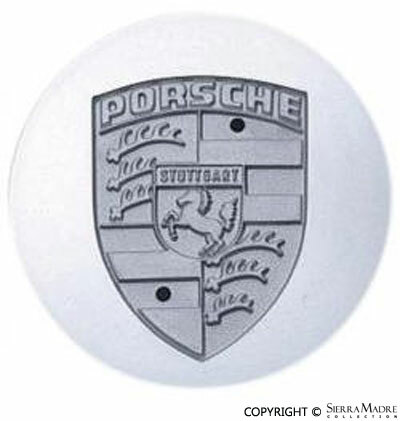 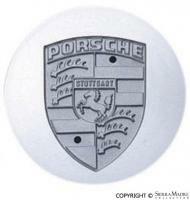 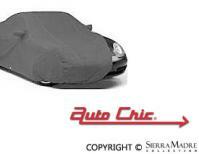 Genuine silver flat center cap with crest for 911, 924S, 928, and 944 models. 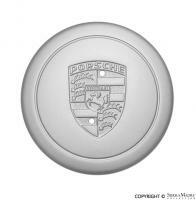 Will fit Flat Wheel, Phone Dial and Carrera Wheels. Each is sold individually.